is abundant and diverse nearly everywhere in the world. 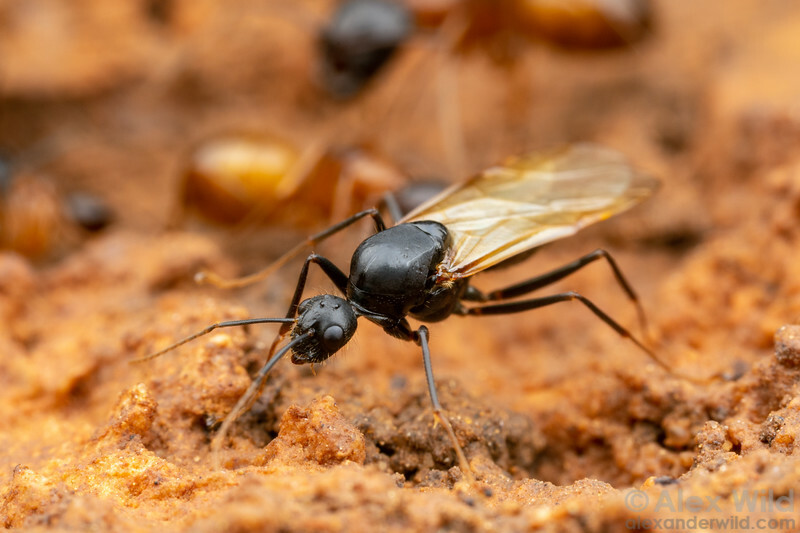 This ubiquitous formicine genus contains our familiar carpenter ants, as well as some tropical weaver ants and desert honeypot ants. Camponotus sansabeanus reproductives, like this male, overwinter as adults, ready to fly and mate at the onset of warm weather. Brackenridge Field Lab, Austin, Texas, USA.